habscout had the most liked content! Here are some depressing stats. 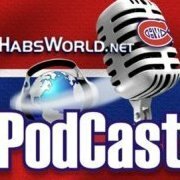 The Habs have scored only 16 goals in the 8 games they have played so far in March. They have allowed 26 goals against during that span. Their record is 3 wins and 5 losses. I somewhat agree; however I saw a few good shifts by Weal tonight. You used the wrong word with "deserve". They outshot Chicago 2 to 1, but the Blackhawks had some key scoring chances, and obviously capitalized. With this loss, the Habs fall lower outside the the last wild card spot, 3 points away from the CBJ's, who got 1 point in an OT loss. Yeah well skating is not everything, unless you have hockey sense too, which IMO Debrincat has in spades. That's another short-sightedness the Habs have had with *many* of their past draft selections under Timmins, although the last couple of drafts they have improved in that area. To add to my last post, Debrincat has more points than any other player outside of the first round in the 2016 draft. When you add the first rounders, he is fourth in points, behind Matthews, Laine and Tkachuk. Why not? He was highly touted but just too small to be a first round pick. The second round is the perfect time to "gamble" on a small OHL forward that has scored 100+ points in 2 straight seasons before his draft year. Sure he was on Connor McJesus line, but still he managed to produce, and then he scored even more the year after McJesus graduated to the NHL. I would not compare it to the Leafs Ballard regime, which was a meddlesome, micro-managing owner of a Steinbrenner/Yankees level, who was only in the NHL ownership game to make money and headlines with his own name. Bergevin just does not know how to handle the contract negotiation side of this sport in my opinion. Radulov was low balled, although it was likely he was going to leave for a more tax friendly option. With Markov, I believe he would have resigned for close to the same salary but he was deliberately low balled [half?] because Bergevin was dealing with Markov without an agent between them. With respect to Drouin, that time he drastically overvalued the asset. That contract was the time to negotiate a bridge deal, but instead he paid much higher than I believe any arbitrator would have awarded a player with *only 1* good NHL season. The result we see now, is a under performing Drouin who will never live up to his long term salary, instead of giving him a shorter term "show me" contract to make him earn his pay. Debrincat set up that last goal. 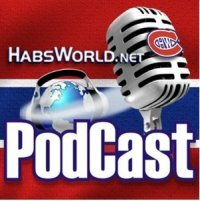 You all probably know this, but one of the 2nd round draft picks they gave up to get Andrew Shaw, was used to draft Debrincat. 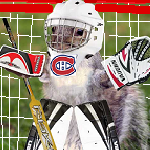 That kid would have looked might good in a Habs jersey. I swear Koivu would have done it one seasom where it not for Enrico Ciccone taking him out at the knee. That is a sign of desperation. Give Toews an extra 2 minutes for bitching about his penalty!!! C'mon ref!!!! True about getting the names wrong, which is a huge issue to me. That is one of the most important parts to a play by play announcer's responsibility, otherwise you sound bush league. I agree with your other comment about the excitement tone. So far tonight, he's done a good job overall in both categories.